As stand-up paddle (SUP) boarding becomes more popular, the demand for inflated boards also increases. ​As it can be​ difficult to ​pick ​a board among the several available options, we will walk you through the different features, accessories needed, and pros and cons of 5 popular ​ones so you can ​choose the best inflatable stand up paddle board for your needs. In this segment, we will review 5 of the top selling and highly rated inflatable SUP in the market today. We have highlighted their key features in terms of dimension, materials, accessories and the pros and cons of each. 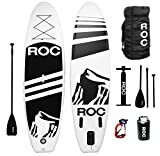 The ​ RoC Inflatable Stand Up Paddle Board is one of the most stable paddle boards in the market today. It is 10’ long, by 6 inches wide board. These features make this particular board best for flat water paddle boarding and wave surfing. The 6” board’s thickness is twice the size of a standard iSUP board that then allows for it to carry a lot more weight. The RoC iSUP has an attractive design that closely resembles a surfboard, unlike other paddle boards. They come with a striking design and engaging color schemes that make it attractive to both men and women. The board is made of military grade PVC material reinforced with industrial drop-stitching. It seems fragile but this inflatable paddle board is as strong as a regular hard board and more practical to use too. It has a removable main fin and 3 directional fins at the bottom of the board which allows for better maneuverability. The 4 stainless steel D-rings at the end of the board comes in handy to carry stuff you need to bring with you to the beach. 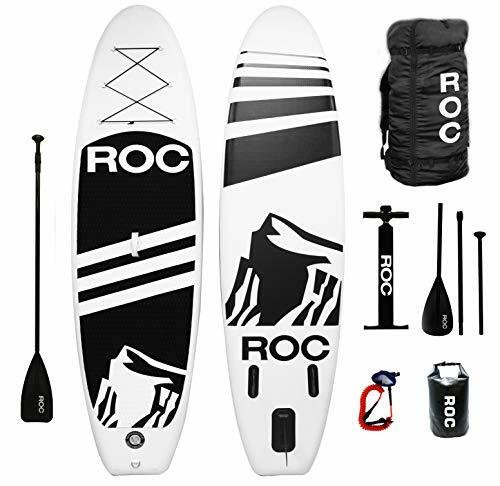 The RoC package comes with a paddle board with SUP accessories such as a waterproof backpack, leash, paddle, and manual hand pump. The pump is dual action pump for inflating and deflating the board. Deflating is easy and it can be stored in a tiny backpack that comes with the package. The paddle is light, adjustable and simple enough to use. It can be easily retrieved if it falls. It is ​made from high quality, military-grade materials. It has good dimensions for stability and high load limit that makes it ideal for beginners to professional paddlers. It packs in a backpack that allows for easier transport and storing. The comprehensive package is a blessing for beginners but it is also very beneficial for professional paddlers. It is an inflatable paddle board that makes paddling easier, more enjoyable, better control and transport. The manual hand pump used for inflating is troublesome. Purchasing an electric pump will save you time and effort lost in manual pumping. The paddle package does not come with instructional manuals for users. 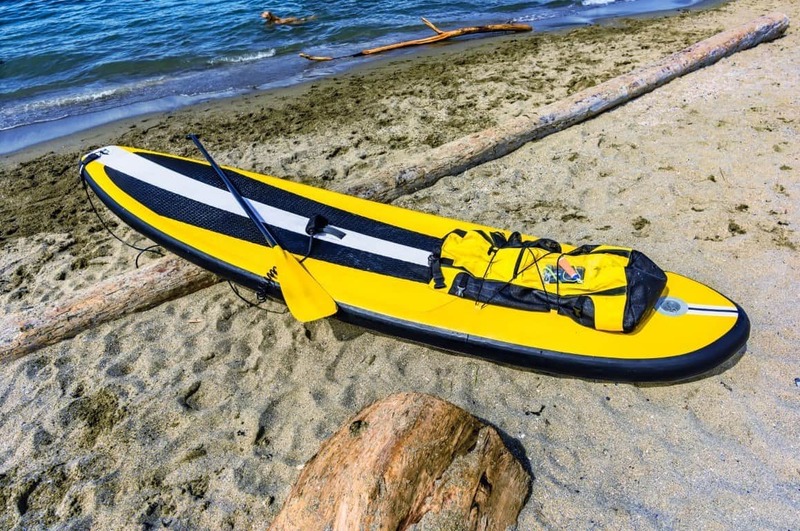 The ​​ Tower Adventurer 2 iSUP Board is 10 feet long, 32 inches wide and 6 inches thick. Its width and thickness make it a very stable board. Its size makes it ideal for beginners, professional paddlers, and SUP yoga enthusiasts. The extra bulk allows the board to hold medium-sized to larger riders without sagging or bending. It can impressively hold as much as 400 lbs. Another feature that sets it apart from out iSUP is that it is made from military-grade PVC, normally used in extreme river rafts, that makes the board dramatically more rigid and floats higher in the water. When fully pumped, it gives the performance similar to a hard board. The board’s design is relatively simple but has additional features such as a removable fin for comfortable paddling and two fins at the sides which is helpful for surfing or river paddling. It is not the fastest board in the market but it glides along the water splendidly. It also has a large, diamond grooved deck pad to make you feel secure as you paddle. 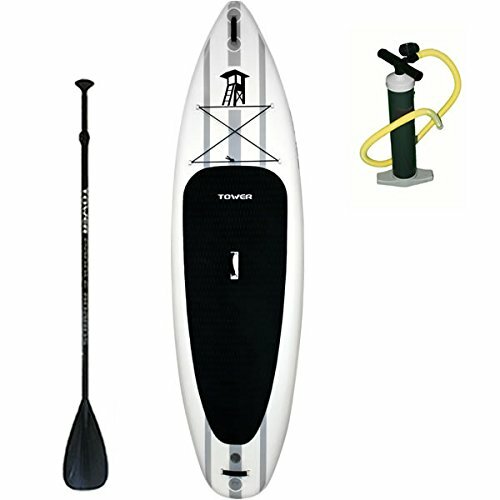 The Tower package comes with a 3-piece, adjustable paddle made of quality fiberglass. This is a good paddle to start with but can feel quite heavy so you might want to invest in more lightweight paddles. Each package purchase comes with a 2-year warranty covering everything outside of normal wear and tear. It is easy to transport and store. Once deflated, it will be rolled up to about 1 foot in diameter and 33 inches wide only. They can be easily stowed in any car or the boot or strapped in the overhead bin. It is extremely durable. Rugged, military-grade materials were used to make this product. It is easy for beginners to use. It has a large carrying capacity to about 400 lbs. The package includes an instruction manual for inflation, deflation and usage guidance. The package does not include a carrying bag. Although it comes with a strap that keeps the materials together when deflated and rolled up, it would have been more convenient to transport with a bag. Unlike other boards, the Tower Adventurer does not come with extra D-rings that can be used to carry around stuff. It is not a deal breaker but worthy to note as other boards have this feature. 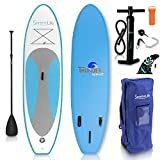 The ​ SereneLife Premium iSUP Board package comes in fully loaded with 10 feet long and 30 inches wide inflatable board, updated aluminum paddles, manual air pump and storage bag for a fraction of the cost. SereneLife Premium is a classic recreation board, best suited for calm waters of lakes, ponds and the ocean. It is also best for your family’s enjoyment. It is not built for speed. The board’s rounded nose and flat bottom shorten the craft and ultimately slows it. The SereneLife has everything you need in a basic iSUP. It is stable with its 6 inches thickness, light at only about 19 lbs. when inflated and easily navigable. This maneuverability is due to the triple bottom panel fins and the adjustable paddles. 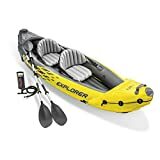 It comes with a 3-piece adjustable paddle that you can use to roam the open waters as you please. It also comes with a leash for easier retrieval if it falls in. But most users still recommend upgrading to a different set that’s lighter and slightly more comfortable to use. The package includes a pump that functions better than the other manual pump models. It can inflate the board in about 5 – 6 minutes which gives you more time on the water rather than pumping. The gauge also gives you an accurate picture of your progress. Like many iSUP, SereneLife effortlessly packs into a backpack for easier transport. Everything that comes with the package fits in the bag – board, paddle, pump, and lease. Inexpensive but comes with everything. It is a budget friendly board that’s ideal for new stand up paddleboard supporters. Has a non-slip deck design and pleasing color scheme that’s to both kids and adults. Paddles are made of an aluminum shaft which is not as light as other fiber glass or carbon models. Even if it comes with a bag for stowing the board, the materials used are of a lower quality material which leads to faster breakage. Pumping with the manual pump although better than other brands is still troublesome. You can still upgrade to a new pump for an even faster inflation rate. 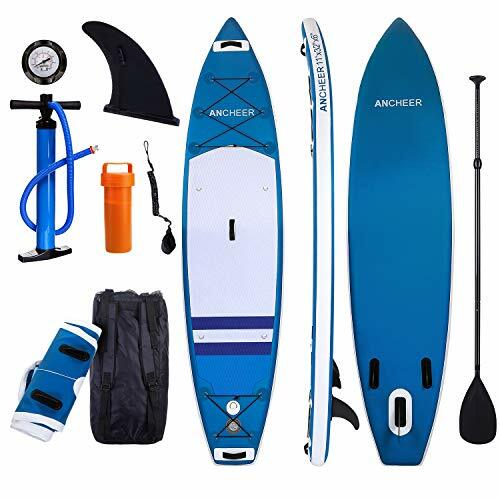 If you’re looking for a reliable start-up paddle board, the ​​ Ancheer AS10 iSUP Board may be the one best SUP out there. 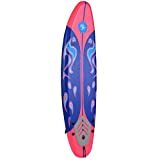 It is an all-around board that can be used for paddling, SUP yoga, fishing and even surfing. The Ancheer board is 10 feet long and 30 inches wide. These measurements make it ideal for small-sized riders weighing at about 180 lbs. The board’s width together with its 6-inch thickness gives stability for board users. The board only weighs about 17 lbs. and is extremely lightweight which makes it the best choice for outdoor use and travel. Don’t let its weight fool you though. Even if its lightweight, it can hold a maximum load of about 350 lbs. Steering is also not an issue with its large and easily removable center fin. The two side fins provide the necessary grip for a more efficient steering. Aside from that, it comes with 6-D rings with threaded bungee which is larger than other boards that usually have 4-D rings. This extra space can be used to carry a bottle of water or accessories. The design is simple and subtle. Aesthetically speaking, the baby blue and green colors are both very pleasing to look at and adds a touch of class into the product. It is a budget friendly iSUP board. You can get the necessities at a fraction of the cost. It has 6-D rings with a threaded bungee which makes for a good-sized cargo area. Easy deflating with only opening a valve and twisting the pin. Heavy aluminum paddles that make carrying it for long periods of time annoying. Single layer PVC which makes the board less durable and prone to sagging compared to other brands. The manual pump requires a little more effort to get proper pressure levels. ​The ​ Atoll 11' iSUP Board is one of the popular choices in mid-range inflatable paddle boards. It’s 11-foot-long, 32 inches wide, and 6 inches thick board; that’s lightweight and provides great stability in the water. It can serve as a Yoga SUP, touring SUP, or other SUP variation. This board has a rugged design and resembles a traditional surfboard. It has two layers of PVC and stitched with the new Fusion Light construction. This process makes the board firm and sturdy. When fully inflated, it feels just like a regular SUP. The dual layering also makes a very durable board that can hold a load of up to 300 lbs. with ease. The board top is covered with a black and white foam pad that prevents slipping and helps you keep your balance when the board is wet. It also comes with 15-D rings that you can use for cargo. 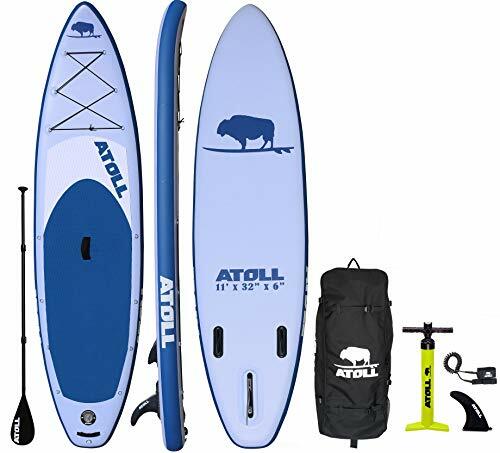 The Atoll package includes the inflatable board, aluminum paddle, repair kit, Bravo hand pump, ropes and leash. The paddle is made of a lightweight aluminum alloy that makes paddling for extended periods of time easier to manage. This particular feature is very important especially when you’re on a SUP tour. This 3-piece paddle is also adjustable and gives you the flexibility to set the best length for you. It has a tri-fin design that provides efficient and easier tracking. It will help your board glide better in the water. The package comes fully loaded when purchased. You don’t need to buy other paddling accessories to get going. It even comes with a bag that you can use to easily store all the package contents. It comes with 15-D rings for cargo holding. It is tough and rigid when fully inflated. It does not sink in the middle and can easily carry a very heavy load. It has a wide deck space that gives room for play, even with pets. The manual pump takes a bit of effort to use. Even if its branded and relatively better than other manual pumps, it is still suggested to get an electric SUP pump. The mid-range makes it a pricier option for some of the same board features. Stand up paddle boarding is an offshoot of surfing that was first introduced in Hawaii. The main difference from traditional surfing is instead of waiting for waves to come, paddle boarders stand up on their boards and use their paddles to propel themselves through the water. It is a fast-growing water sport that combines kayaking and surfing into one enjoyable activity. Stand-up paddling appeals to a wide variety of people because it is very versatile. But there are 3 main types: surf, all-around, flatwater/race paddle boards. Surf SUPs are typically the shortest paddle board. They have a pointy nose and tail. All-around SUPs are thicker, wider and longer than surfboards. They are the most stable type and can be used in various water activities. This type of board is good for windsurfing. Flatwater/ Race SUPs are best for flatwater, open ocean paddling. They are normally longer than any of the other board type. The nose area is pointed to help the board easily slice through the water and glide straight. These paddle boards are available in two variants: Solid SUP and Inflatable SUP board. Solid SUP boards are usually built from fiberglass, Kevlar, plastics, foam, and wood. Solid SUPs are tried and tested. They remain stable even with strong winds or choppy water. Best of all, no inflation needed. You can go straight to the water! Inflatable SUP boards are made with layers of PVC plastic constructed with industrial-grade drop stitch. Inflatable SUPs are easily stowed, transported and durable. You have to spend some time to inflate the board before you use it though. Each variant has their own merits but in recent years, there’s a going trend of paddleboarders shifting to inflatable SUPs over fiberglass ones. Currently, about 80 – 90% of the paddleboard market belong to iSUP purchases. Inflatable stand-up paddle boards are the future of paddle boarding. So, should you choose an inflatable SUP over a hard, fiberglass paddleboard? With the advanced manufacturing materials and processes today, an iSUP provide a competitive advantage over hard-shell boards. They are better than traditional boards in so many ways. They’re generally lighter, simple to store and easy to transport. Though a tad pricey, iSUP still cost far less than hard SUPs. Some would even say that you can get 2 iSUP for the price of 1 fiberglass board. There are tons of well-known brands in the market today and more keep on emerging daily. If you’re a paddle boarding newbie, having the wrong paddle board can wreck the whole experience for you. If you need further convincing, here’s a list of other reasons why you should purchase your very own inflatable stand-up board. This segment will discuss the benefits and drawbacks of choosing an inflatable board over a hard-shelled paddle board. Traveling with regular fiberglass SUP can be a hassle. Loading your hard paddleboard on top of your car rack is not easy. If you choose to leave your board at home, having to rent one if you decide to go paddle boarding, can be expensive too. These problems are eliminated by buying and using inflated stand-up paddle boards. Most people prefer iSUP because they’re lightweight, more convenient when traveling and easier to carry to and from your vehicle. Most iSUP boards also come with their own pack or case. You can easily take them with you inside airplanes, ships, trains, buses and even crammed cars. ou can stow it away at a little corner in your room, leave it in your car or keep it in your cabinet. ​iSUPs can be used for various water activities from simple paddling, SUP Yoga, touring and even surfing. iSUPs are ideal paddleboards for rocky shores and rivers. Fiberglass boards easily get dinged when it hits rocky surfaces unlike iSUPs that have better give and will just bounce objects right off it. This durability is due to the military grade material and industrial drop-stitch construction used for the product. iSUPs have a softer surface than regular fiberglass boards. Falling is inevitable when paddle boarding, more so, if you’re new to the activity. An iSUP's softer surface helps to cushion your fall. Most iSUP also have textured tops that give additional grip over the surface and prevent accidents. The soft surface is also more comfortable for people who do SUP yoga. iSUPs are stable and have non-slip surfaces that allow for your pet to sit without his paws sliding around. You can now share your love of paddling to your furry friend. ​Aside from the fun from paddling, you can also use your iSUP as a bed to sleep in on your tent and wagon to haul stuff. This is perhaps the biggest downer for iSUPs. It takes about 5 – 8 minutes to fully inflate a paddle board. 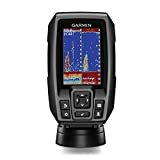 It is not a great deal of time, but it will surely delay you from getting on the water quicker. ​If your iSUP is not inflated to the ideal PSI, you risk facing issues of flex where the board sinks in the middle due to added pressure. ​iSUPs are very stable, rigid and inflexible if inflated properly. Inadequately inflated boards sag and bend when used. ​iSUPs are quite pricey. 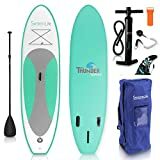 The heavy-duty materials used to construct the board and the accessories, like the travel backpack, inflation pump, paddle and fins, that come with it builds in additional cost to the product. If you have made up your mind to get an iSUP for yourself, you now need to know how to select the best one for you. At first glance, all iSUP boards look very similar but there are actually different design variations which can make a huge difference in how you can use your board. 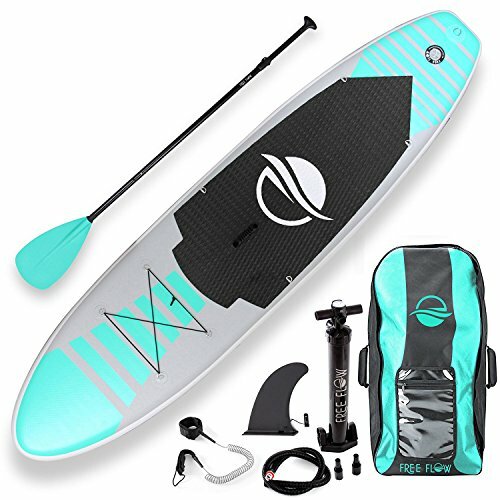 Most of the current iSUP packages in the market today come fully loaded with the board and other accessories such as the paddle, a pump, repair kit and bag. The SUP you choose must work for your size and be able to carry your weight. To ensure this you need to consider the volume of the board and its maximum weight capacity. The volume of the paddle board indicates how much weight the SUP board can float. The more volume your board has, the more weight it can hold. Volume is normally measured in liters. Maximum Weight Capacity board indicates how much weight your SUP board can hold. Don’t stick too close to your weight, get a board that has the surplus capacity so you can have better boarding experience. As a general rule to follow, if you are under 140 lbs. you should get a short board. Medium boards are best for weights between 140 – 200 lbs. Anything greater than a 200 lbs. load requires a much longer board, somewhere about 11 or 12 feet long. Longer boards slice through the water straighter so they usually go faster than shorter boards. 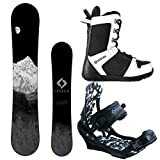 Short boards are known for their maneuverability which makes them best suited for surfing. Identify the activities that you’re thinking of engaging in so that you can choose the appropriate board to accommodate it. Short boards are generally less than 10 feet long. These SUPs are primarily used for surfing due to their manageability. Short boards are best for kids to ride on and learn paddle boarding. Medium boards are usually between 10 to 12 feet long. This type is ideal for riding on top of the water for leisure paddling, SUP yoga or similar activities. This is also the best board length for beginner paddlers. Long boards start from 12 feet and longer. These boards are best for touring, racing, and fast paddling. Long boards usually mean larger capacity. The SUPs width establishes its stability while in the water. A wide board is more stable, while a narrow board is faster. The trade-off is that a wider board, although more stable, is also slower and make paddling problematic. The third critical factor to consider is the SUP’s thickness. If you’re looking at two boards with the same length and width, the thickness will determine which board would have more capacity to handle a bigger volume. Most good quality boards today are 6 inches thick. This thickness makes the board sturdier especially when fully inflated. Boards that are less than that average are more prone to sagging and lose shape faster. This refers to the maximum pressure that you can fill you iSUP with air. For PSI, the basic logic is: the higher the number, the fuller and stiffer the boards are. Most all-around iSUP have a maximum of 15 PSI and takes about 5 – 8 minutes to fully inflate a board. The time spent to fill an iSUP to the required pressure depends on the type of pump you’re using. Most packages come with a manual hand pump. This pump type is physically demanding and will require much from your arms and lower back. If you do not want to subject yourself to such strenuous work or just do not have a lot of strength, you might want to consider getting a separate electric pump. It might cost you extra, but it will inflate your board in a fraction of the time. A board’s fins add stability and facilitate better tracking on the water. A large fin is ideal for flatwater paddle boarding. If you’re looking to surf or use the paddle board out in the waves you would need a tri-fin setup. Three finds usually at the bottom end of the board for additional traction and better control. These fins are made of flexible rubber or semi-rigid plastic. Single Fin is a setup where there is one large fin placed directly in the center of the board near its tail. It helps the board track on flat water surfaces. 2+1 Setup is the most common setup. It usually includes a large single fin in the center with two, smaller side fins on its left and right sides. Tri-fin setup has three fins placed at the bottom of the board. Investing in the right paddle is very important. Do not skimp on it as it is your motor. A SUP paddle has 3 parts: handle, shaft and blade. They can be made with different materials such as plastic, aluminum, and carbon fiber. The best paddle to get is an adjustable and lightweight one. This way, you can easily use the paddle for navigation and set the paddle length to what is suitable for your height. Length: In general, you should size your paddle about 8 – 12 inches taller than you are. Set closer to 8 inches for surfing and 12 inches if you’re touring. Blade size: The rule is, “the larger you are, the larger the blade can be.” It is accepted that bigger paddlers have more strength to pull larger sized blades. Large blades are more powerful while smaller blades make riders more efficient and easier to pull through the water. Blade shape: The blade’s shape can affect how the paddle performs through the water. Tear drop shaped blades are ideal for SUP surfers and paddlers that enjoy powerful strokes. Rectangular shaped blades are best for paddlers that prefer a higher-cadence stroke. Offset: This refers to the degree that the blade angles forward from the shaft. This measurement determines how vertical the blade is when it goes through the water and affect how much power one gets from each stroke. These are stretchy straps located either at the front and/or back end of the board. These straps are used for securing coolers, dry bags and clothing. A leash is typically sold separately. But the current trend has shifted to have them included in iSUP packages too. Leashes work as a flotation device that tethers your SUP to you. It keeps the iSUP close by if you fall off it. Having one and using it is important for your safety while paddling. Coil: this leash is designed to stretch out and coil back when paddling which prevents the leash from dragging in the water. Standard: this is a regular corded leash. They will usually drag water but are significantly lighter than coiled ones. In considering the right leash follow this rule of thumb, “your leash should be as long as your board”. But you can be a bit more flexible on the leash length depending on your skill level. Normally though, a leash that is about a couple of feet of the board is okay. Some riders prefer longer leashes for it allows the board to float further away reducing the risk of the board hitting you if you fall off of it. These are bags that protect your paddle board from dings and blemishes. They are usually used for easier storing and transport. They normally come padded for protection and are made of a water proof material for longevity. ​This means getting the right paddleboard, paddle, and the leash. If you are a beginner, it is best to start with a beginner SUP board as it is wider and thicker. It will help you learn to keep your balance while in the water. 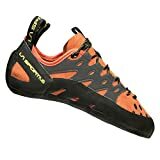 It is recommended to refer to well-known brands used and endorsed by professionals and other paddling enthusiasts to ensure high-quality equipment. ​As a beginner, it is best to go paddle boarding on a day when the water is calm and there is with very little wind. This will make learning to balance in your board faster. ​You have the equipment and the scenario is set, the question now is, do you know how to get up and paddle? It is essential to learn the proper way to paddle so that you will have greater control of the board and steer it effectively. ​Place your board in the water and climb onto it on your hands and knees. Sit back on your knees. Try to start paddling while on your knees until you get a feel of the paddling strokes. ​Once you’re comfortable, find your balance and slowly try to stand. Make sure to keep your feet shoulder-width apart. Practice paddling while standing. When you start to get uncomfortable, go back to your kneeling position to paddle. Falling is inevitable so learning how to fall will help avoid injuries. Do not be afraid. ​Do not look down on your feet while you paddle. Looking at your feet may cause you to lose balance or crash to someone else. Be aware of your surroundings so you can prevent bumping to others. ​Don’t forget to wear a vest, even if you’re an excellent swimmer. ​Riding the waves can be exciting but as a beginner, you may not be ready to tackle that yet. Take it slowly. Listen to your instructors. ​Be aware of the conditions when you are out paddling. You can also prepare yourself by looking up weather forecasts so that you are made aware of possible weather changes that may happen. Store your equipment out of the sun and keep it in a dry and shaded area. Transport your SUP board, paddle. and other accessories in a protective bag to prevent damage. It is suggested to use a water-resistant and durable backpack that can easily hold all your paddling gear. Most packages already include this. Be careful when taking it out of the water, be wary of rocks or other sharp objects. Wash your SUP equipment thoroughly after going in saltwater. Regularly check for dings and cracks on both the board and the paddle. All the inflatable stand-up paddle boards we discussed are great. But if you are looking for an all-around, stable stand-up paddle board, without any of the fancy features, our pick for the best inflatable standup padle board is the ​ Atoll 11' iSUP. Atoll’s iSUP is an all-around sized board for everyone – from children to adults, from beginners to expert enthusiasts. It is extremely lightweight and can be used for different water activities. You can even try yoga with it! The Atoll iSUP is ready for all types of flat-water surfaces like lakes, rivers and oceans. Best of all, when you ​get this board, it comes with everything you need in one neat package. 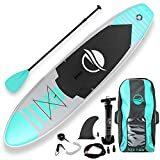 Even though it costs more than some of the other iSUP, the quality of the paddleboard materials used, the extra features that come with it, such as the lightweight paddle, 15 D-rings, dual action pump, make it a worthwhile purchase. ​Atoll has excellent customer support that you can simply call in or email if you have any issues. Their 2-year warranty also shows that the company is serious about standing behind their product. Lastly, Atoll Board Company is one of the leading premier providers of inflatable stand-up paddle boards and accessories. The name in itself should already be a testament to the superior quality of the product you can expect from the brand.